Spring is here and the mountains are calling! Getting out and enjoying the weather is a must in spring and early summer and SlumberJack has upped their game and has gotten you the best tent for hiking and camping in the mountains this year. The SJK Nightfall 2 person tent is made for three seasons of camping and is easy to set up and carry. Read on to learn more about how the SlumberJack Nightfall 2 person tent is going to save your legs some wear and tear this camping season. The SJK Nightfall two person tent weighs in at just over five pounds and can easily be packed into hard country. Mountain tents need to be lightweight, easy to haul and easy to set up. The SJK Nightfall is great for all three. 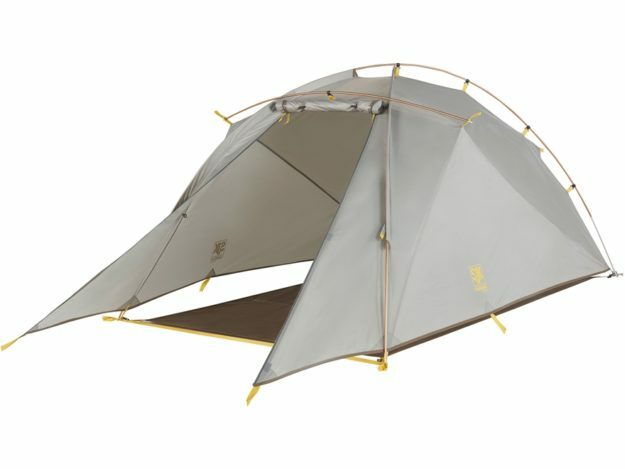 It features external pole architecture that keeps the inner part of the tent dry when you’re setting it up. This is a nice feature so that once you climb in you wont have to deal with all the wet footprints and such. There is plenty of space inside of the 2 person tent too. The walls are almost vertical and there is plenty of room for two occupants. There is even a fast pitch option that allows the inner tent to be left back at the car and then the tent gets even lighter. This is great for hunts when you only need one night and are chasing after big game. Each tent has three poles and makes set up a breeze. I was able to set it up for the first time in just under ten minutes. The packed weight of the full tent is 5 pounds, 2 ounces, so really lightweight for a good tent. If you chose to go with the fast pitch option, the weight is reduced to 2 pounds, 9 ounces. Once set up, the tent has a height of 39.5 inches in the center and a floor area of 31.4 square feet. This should be plenty of room for just you or you and your camping partners in the back country. As a hunter, the sturdiness of the tent is vitally important. Gear needs to be able to last and withstand rough elements and go through some thick vegetation. The fabric is thick polyester, so it won’t rip easily and the poles are heavy duty aluminum but are still light. 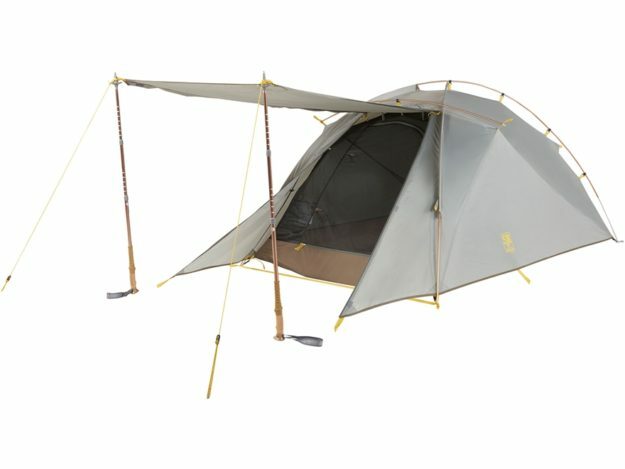 You can purchase the SJK Nightfall 2 person tent on their website here for just $139.95. This is a great bargain for a high quality, packable tent and will give you many years of good, hard use. Check out more camping gear reviews and some other great SlumberJack hunting products.